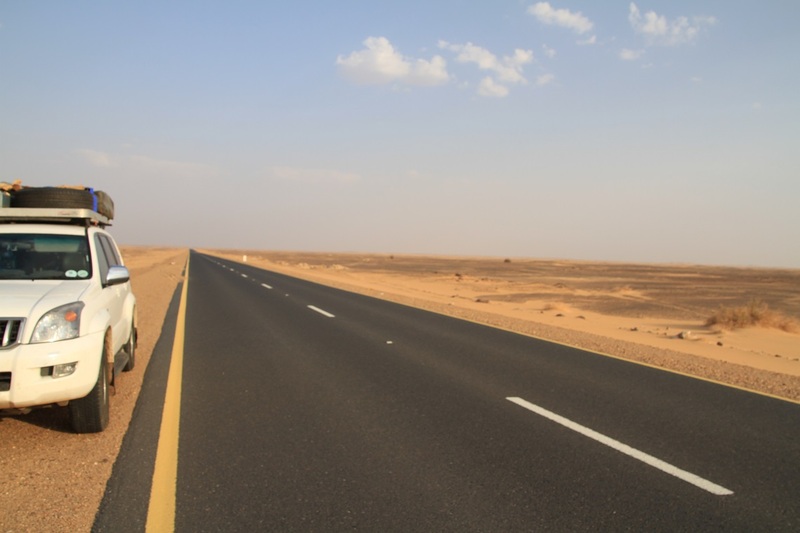 The first thing independent travellers to the controversial and ancient Kingdom of Kush will notice, is that neither people nor livestock live on the verge of the road. Unlike lush and fertile Ethiopia, the Sudan has wonderful tar roads, built by the Chinese. Our Prado was chomping at the bit, its 180-litre tank chock-a-block with fuel costing R4,50/litre, so we indulged in a cruising speed of 140km/h on the new asphalt. That also meant that we had to do some very glib talking to get ourselves out of a speed fine – the first encounter with the cops since Tanzania. “Alien” registration within three days of entering Sudan is a law. Bother! We tried to get this behind us (cost: $40/person) at the Gallabat border, but were told to move on to the next big town. Here we went on a wild goose chase before being told to get the stickers in Khartoum. In the capital, we eventually located the office where the registration has to be done, but nobody could speak English so once again we were turned away. 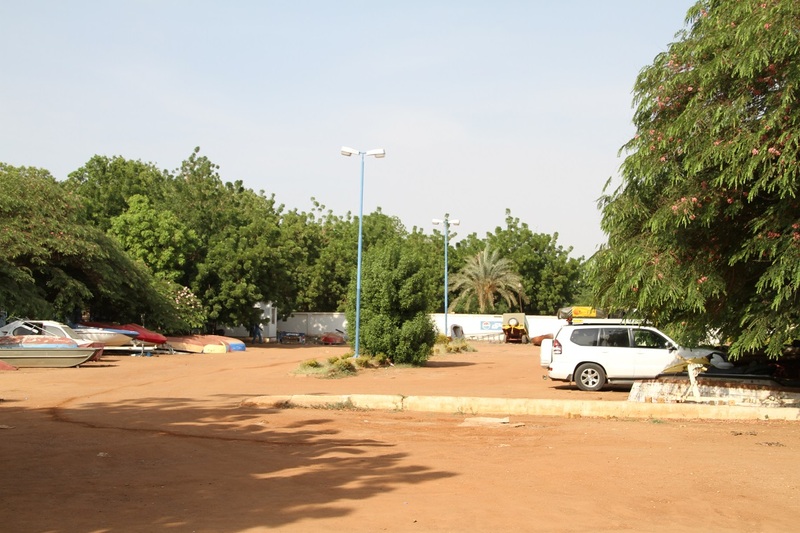 To collect evidence, just in case we were thrown into a Sudanese jail, I took photos of us and our vehicle in front of each place where we’d dutifully tried to be certified as Martians. Independent travel through Africa’s third biggest country, albeit both exhilarating and frustrating, is very, very difficult. Hardly any English is spoken and almost all signboards are in Arabic. We were seriously challenged trying to find our way, even though Khartoum is a much better organised city than Addis, for example. On the plus side, there are signs of oil money everywhere. 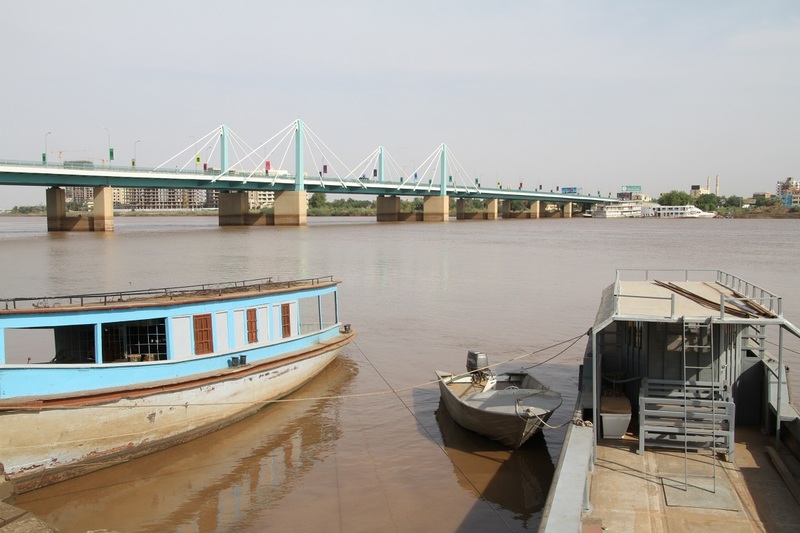 While the confluence of the White Nile from Uganda and the Blue Nile from Ethiopia is indeed impressive, we were absolutely in awe of the magnificent bridges over the Nile. 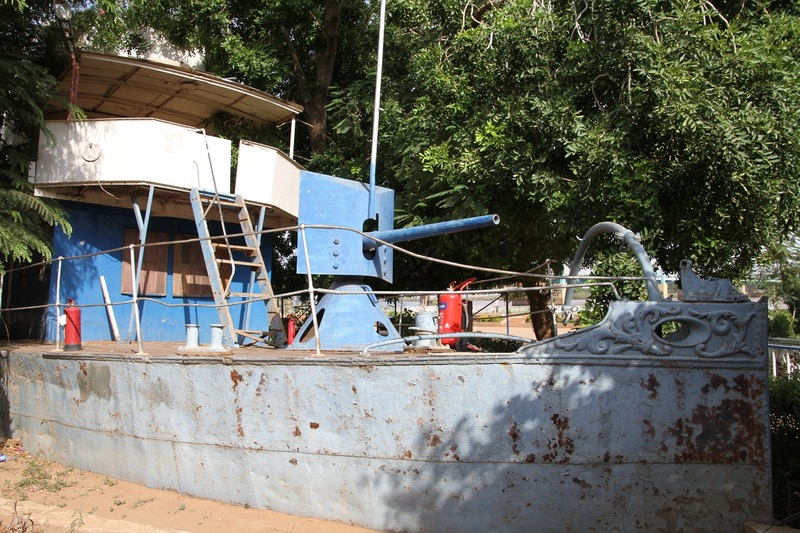 Our initial plan had been to bush camp, so we set T4A to Wad Medani, a popular honeymoon destination, but there were so many people in the vicinity that we’d decided to push on to Khartoum. Of course, it was Friday night and we got stuck in traffic. At 21:00 we finally arrived at the Blue Nile Sailing Club, the de facto meeting place for overlanders, where you just pitch your tent in the car park. The ablutions are dirty and dusty with an erratic water supply. Just when you have soaped your dry body all over in anticipation of a cold refresher, there is no water in the shower. 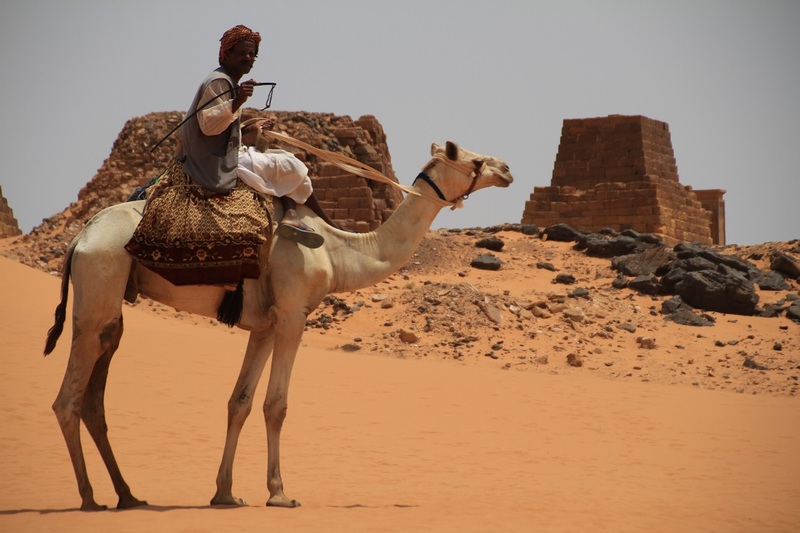 The real action is in Omdurman, Khartoum’s vibrant and dizzying twin city. Its beating heart is the souk, the mother of all markets and the largest in the country. We did not dare venture into its labyrinth on foot, but drove the length of it twice to absorb the chaotic atmosphere – quintessentially African with a touch of Arabic. 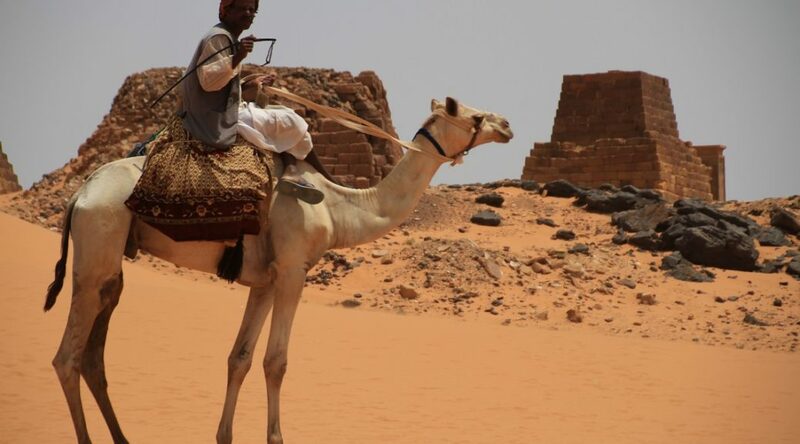 My lasting memories are of camels weaving through the cars and of fresh fruit being sold everywhere, watermelons especially, and boy did we indulge! 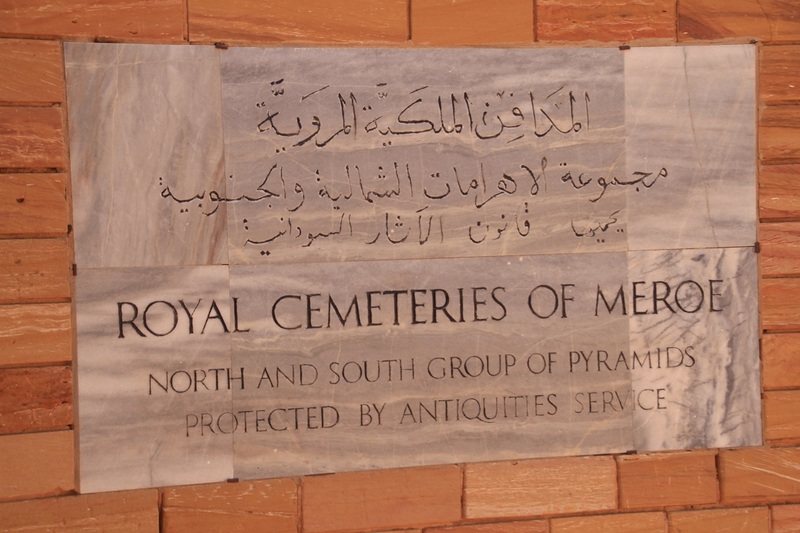 Our next destination was the fabulous 2,000-year-old Meroë necropolis, where we were the only tourists – unimaginable in Egypt. What a thrill to have about 100 pyramids, some dating from the 8th century BC, entirely to yourself. This was going to be an overnight stop with lovely sunset photos, but with the mercury at 46 degrees Celcius, it was time to find a Plan B. On the road from Meroë to Karima, heavily laden trucks that have replaced the camel caravans of yesteryear, plus modern-day tankers en route to Port Sudan, spoiled the fun of a good road. Two shortcuts that we took through the serene desert, each a few hundred kilometres long, allowed us to bypass some of the villages along the Nile, the country’s lifeline. 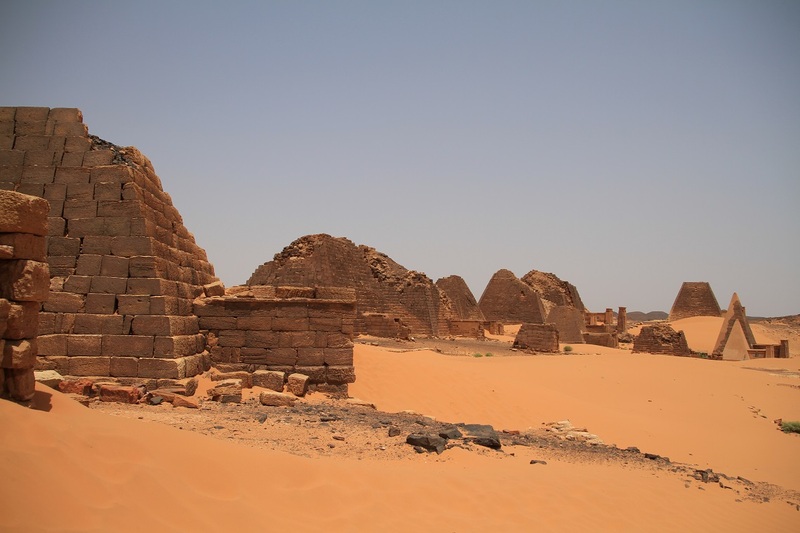 Village-hopping, the scale of the Sahara and the desert heat really got to us, with powder sand penetrating everywhere once you emerged from the luxury of an air-conditioned car. In the “Belly of Stones”, terrain not unlike Namibia’s Damaraland, we set up camp, but the hot desert wind made it quite impossible to sleep. I got up regularly to pour cold water over myself, which felt like it had come from the hot water tap at home. At 01:45 (temperature 34 degrees) we had had enough, so packed up by moonlight and head torches and left for Wadi Halfa. We reached it at 06:30 after a couple of stops along the way to rest our bleary eyes. On the first open space we could find, we rolled out our camping lawn and sleeping bags, lay down flat and promptly passed out. Defying panicky friends and family, we had travelled safely through the Sudan. 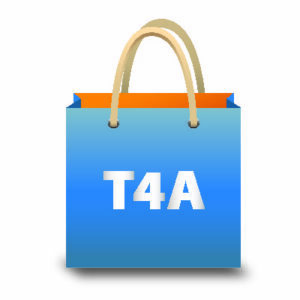 Did you know that you don’t need internet connectivity to use T4A’s Guide Apps for iPad, iPhone or Android users? Yes, you can turn your Android or Apple device into a hassle-free, easy to use, adventure guide – even when you’re travelling way, way off the beaten path. Head to iTunes or Google’s Play Store and download the app. What’s so great about this app is that you can download only the maps of countries applicable to your trip. Ag shame that you were able to spend only a couple of days in Sudan! This is, after all, a great country for camping and outdoor life. 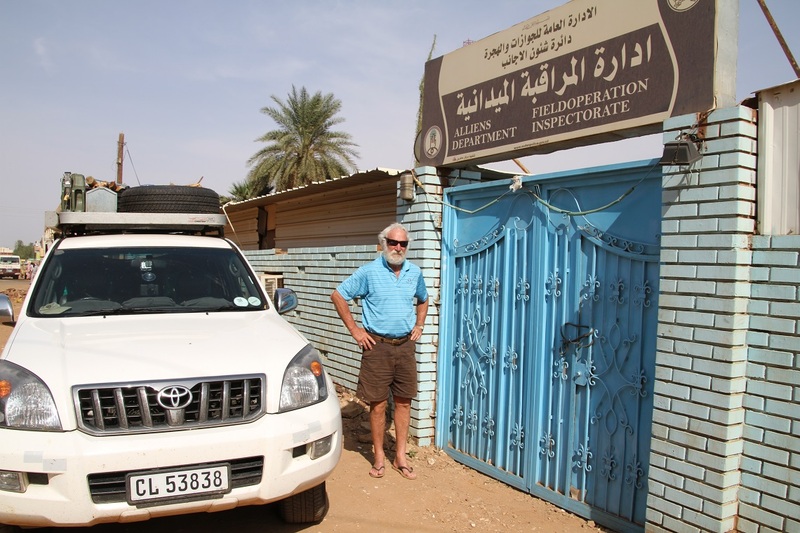 We have lived and worked in Sudan for the past 5+ years and travelled extensively around the country, and in my humble opinion, this is perhaps/probably the safest country in Africa – that is, if you exclude the conflict areas to which the authorities wouldn’t let you enter anyway. We go bush camping frequently especially in the winter when it is a bit cooler, and have never experienced any problems or harassment. Drive less than 100 km out of Khartoum, and you can have awesome camp sites on the shores of the Nile where nobody will come and disturb you – just turn off the road and head to the river and find your spot!. Well, some fishermen may come and show you their catch with the hopes that you might buy some. Have a swim, watch the sunset, feel the cool breeze from the river = nice! Or alternatively you can go and camp in the desert. Especially the areas around the Red Sea Mountains are pretty. 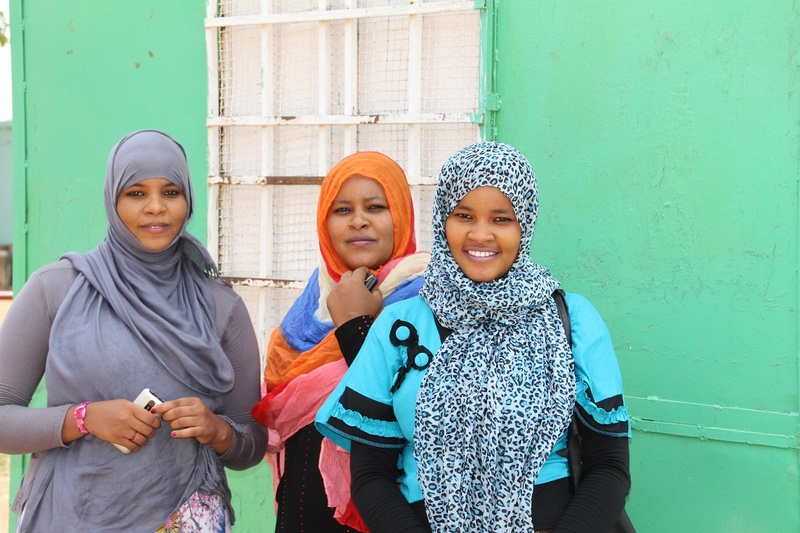 Yes, people may not speak much English, but they are very friendly and not pushy – and not trying to sell you all the time something as in many African countries.